Ben Whittaker (Firewalker Olympic Boxing Club) and Soloman Dacres (Warley ABC) are both looking to cap a fantastic 12 months when they compete at the England Boxing Elite National Championships 2017 taking place this weekend (21-23 April 2017) at the Magna Centre in Rotherham. Whittaker will be defending the middleweight title he won in 2016 and aims to become a two-time Elite National Champion. 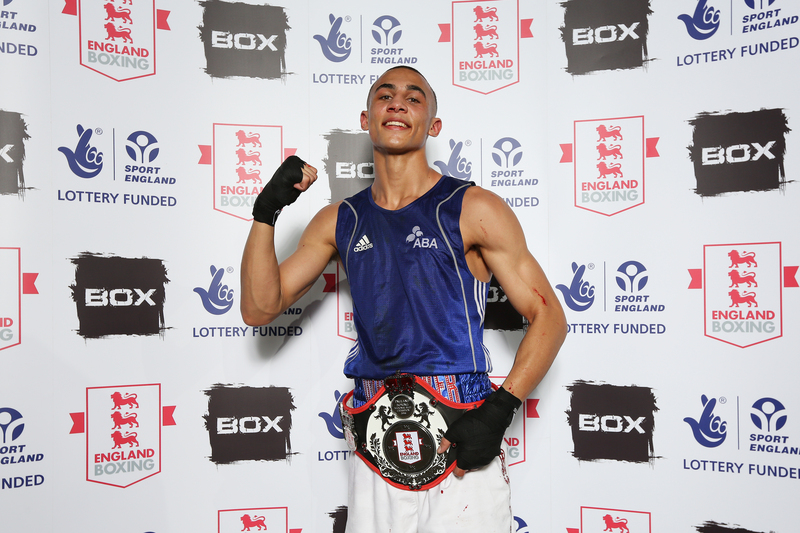 It will mark a successful year for the 19-year-old from Darlaston who has recently been added to GB Boxing’s elite Podium squad and now trains full-time at the English Institute of Sport in Sheffield. Super-heavyweight Dacres is looking to win a first Elite National Title and complete a remarkable rise to prominence for the Birmingham man who only took up boxing three years ago, aged 20. He has also been given a three-month trial with GB Boxing’s Podium squad and has recently sparred with Rio 2016 silver medallist, Joe Joyce. Dacres said: “Last year was the first time I’ve actually competed in the Elite finals but I lost out in the semi-finals so this has got to be my year. “Coming onto the GB Boxing programme has given me the opportunity to spar and train with boxers of a high standard, such as Joe Joyce and Frazer Clarke, so I am feeling confident. There is no-one that I am too wary of and I am ready for anyone. Middleweight, Whittaker, has followed a more conventional route to national prominence and has been boxing for 12 years. He won the Elite National title at the first time of asking in 2016 when he defeated Jordan Reynolds in the final at the Echo Arena in Liverpool. Whittaker said: “I am preparing like I would for any tournament; I am dedicated, working hard and not cutting any corners. I have been sparring with some top level boxers, such as Antony Fowler and Olympic bronze medallist, Joshua Buatsi, so that should stand me in good stead and hopefully I will get my rewards for all of the hard work I have put in. Whittaker is also keen to win for his new club, Firewalker Olympic Boxing Club, which he joined recently from Wodensborough.